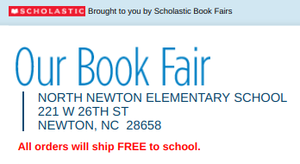 North Newton's Spring Book Fair will be Monday, February 25th through Friday, March 1st. 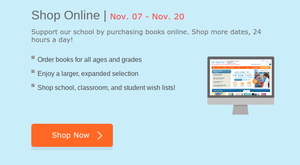 It's not too late to shop the book fair online. 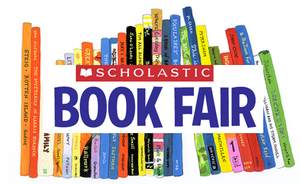 Online Fair will be open now through Nov. 20th. Click for more information. First Day of School will be Monday, August 27th. Please remember tardy bell is at 8:15. We cannot wait to see your smiling faces. September 19 from 5:30 to 7:00, we will be having our annual Curriculum Night. Food will be served from 5:30 to 6:00. There will be two 30 minute sessions for you to attend. During the sessions, you will learn what the students will be learning, fieldtrips they will be taking, and any other important information. This week September 11th-15th, North Newton Bulldogs are celebrating grandparents. We are inviting all grandparents to come and eat with your grandchild on their grade level day. Monday is Kindergarten, Tuesday is 1st grade from 12:15-12:50, Wednesday is 2nd grade from 11:00-11:40, Thursday is 3rd grade from 11:30-12:15 and Friday is 4th Grade from 12:45-1:30 and 5th grade from 12:30-1:05. We ask if you are coming to eat lunch you notify your grandchild's teacher. Pre-K Open House will be from 5:30-6:30 Wednesday, August 23rd.